Moving into a new area is sometimes a tough pill to swallow. People move for many different reasons. Some of them are good, while some of them represents an opportunity to start from scratch. For whatever reason you are moving, we would like to tell you that moving to Jersey City is the right decision to make. New Jersey offers a lot in terms of employment, education, housing opportunities and fun for the young generations. It would be good for you to know that Jersey City movers move more people into NJ than out of it. This is a good sign, right? Now that we have reassured you that you are not making a mistake by moving to our beloved city, let’s see what you can expect to find here and how we can be at your service to facilitate your transition. Jersey City is the second most populous city in New Jersey. Whether you need to be moved from the Heights or near Journal Square; Jersey City movers have you covered. We understand the dynamics of living in a downtown urban area. Maybe you are near the Port of Jersey or in the new areas like Exchange Place and need help with a move. What you need to understand is that urban moves are our second name. Our business was started and has grown in such environment that moving in downtown on a busy street swarming with people is what we are the best at. Therefore, no need to look any further. Give us a call and we will be there for you. What Makes Jersey City Movers Like Vector Movers Different? We are a highly-organized and well-trained machine. Vector Movers has team members that all work together to provide the best possible service for our customers on the move. We do a background check of all of our employees to ensure you and your items are in safe hands. By considering all aspects of your move, we work together with you to make sure we are as efficient as possible. We have our quote specialists that are the first point of contact with our customers. They will ensure the quote is complete and accurate. Once we give a quote, there are never any hidden fees. 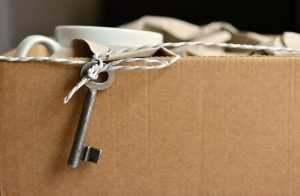 We then have relocation specialists who will be in contact with our customers and the moving team. They will keep everyone up-to-date on the status of the move. They are the main coordinator for the move. We then have the hands-on movers that will be packing, wrapping, and loading your items into the moving truck. They are the working team on site that will be there to help with any questions or concerns. All of us work in concert to make sure your move is as smooth as possible. We know moves can be terribly stressful, so we want to help you minimize that stress. Why Choose Jersey City Movers As Your Jersey City, New Jersey Movers? The Vector Movers organization is highly organized, but don’t just take our word for it. Read reviews and find out the news for yourself. We have Yelp reviews that give us a 5-star rating, which is perfect. We also have an A+ rating from the Better Business Bureau. Our customers think highly of us and we want to keep it that way. The goal is to be the best in the business and the ones that you call on and that your friends and family call on when a move is on the rise. Customer satisfaction is paramount and something we will always go the extra mile for in business. We have movers that are licensed, bonded, and insured to provide protection for your household items. It is easy for us to assist you in residential or commercial moves and the best part is that we can even provide free storage for up to 30 days if your new residence is not available for move in during the moving process. We are your one stop shop for moving and storage in Jersey City. Regardless of the distance, we can take you near or across the country. You tell us your needs and we find the quote that matches your wishes. If you need packaging or wrapping services, we can assist. If you only need truck loading and unloading, we can do that. We will customize your quote based on what you require to get the job done. Our estimates never contain any hidden fees, once your quote has been generated. We take great pride in giving you the best moving service possible and the best price as well. Make sure that you give us a chance to earn your business by obtaining a quote for moving service. There are many options that can be selected for your impending move. Call us at 201-266-3666 to get your personalized and customized quote for free. Since you are on our website, you can consider filling out a quote online as well. Vector Movers is an excellent source for your Jersey City moving needs. Our employees are here to help and would be more than happy to help with your next moving adventure. Moving locally is best done by a company that knows the area where you need to move to and from. 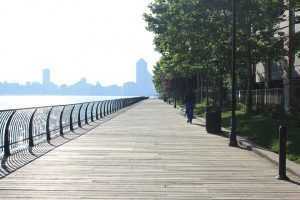 Given the fact that we have been around Jersey City so many times so far, means that we are the right company for you! The key to our perfect moving track record are the people that we hire and train and good organization above all. With movers and packers Jersey City you should expect that we know up to every detail where each box goes. Furthermore, we always know where they are. So in case you are unsure if you have got it all loaded, we will able to let you know in a matter of minutes! Furthermore, we track our trucks. This enables us to react in a matter of minutes should there be any hints of possible issues on the road. We are glad to tell you that so far, we have been using this perk only to reassure our customers that their belonging was on the way. Another type of moving that we specialize in is residential moving. Basically, we are the home moving experts in New Jersey, no doubt about it. Go ahead and read the Yelp reviews. It was not our decision to specialize in this particular kind of move. Simply, when the company we founded the company, it turned out that many people were moving inside NJ area. Given the fact that Jersey City moving companies were not as an abundant back that as they are today, we realized that the most of the work that we will be doing will be on a local level. Therefore, in order to provide the best possible service, we decided to examine all aspects from a residential moving and draw conclusions. Those conclusions are the reason why we are as successful and reliable moving company we are today. The evolution of Jersey City movers happened step-by-step. After we saw that we had mastered local moving, the time was right to set foot into long distance moving. The biggest perk of choosing moving and storage Jersey City to take care of your long distance move is the fact that with us you have options. We have got you covered in every sense you can imagine. We can pack your stuff for you. If you’d like to take care of some of your belongings that you hold dear to your heart, then go ahead. We can take care of the rest. If it is your choosing, we are okay with just arriving to pick up the stuff that you had already packed. Your move means your choices and our help. Nevertheless, we will stand by your side and show you some tips and tricks with anything move-related that you would like to do yourself. And please do not forget that in case you do not have packing material, we have all that you might need. When it comes to long distance moving, the most important aspect of planning is the organization and time management. It is the goal of Jersey City movers to have it all well-planned before we embark on the adventure of moving you. Also, we will give you the right time estimation of the move. Jersey City movers boast on their ability to provide the true estimates both in time and in cost. Therefore, before we leave, you will know when and at what times our trucks will be. Keep in mind that in the case that you might need to store some of your items while the rest is on the move, we have got you covered in that are as well. We can offer storage facilities at very competitive prices and up to 30 days for free! Depending on the amount of stuff that you need storing while you settle in your new home or office, we’ll give you the offer you cannot refuse and the price you won’t find anywhere else. We offer storage facilities up to 30-day free of charge if you need them! Cross country movers NJ is the most complicated move out there. It means taking your belonging from one corner of the country all the way to the other. 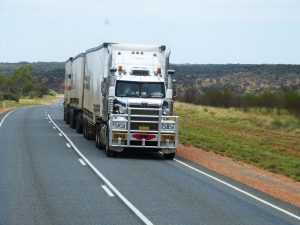 Usually, our customer wishes to know where exactly our trucks are and how they are doing on the road. That’s why we had GPS’ installed in all of our trucks. This help both you and us keep track of how the transport is going. When it comes to cross country moving, it should be the most important for you to work with a company that is licensed, insured and experienced at what they do. We are exactly this kind of a company. With us, your job would be to sit tight and not to worry. That is what those above-mentioned GPS’ are for: to keep you calm knowing exactly where your items are. We take great pride in our competencies and our record of successfully executed moves. We have the knowledge and the means to keep that track record intact. These should be your reasons to work with us. You see, when a customer comes through our door, he does not come to ask for help with moving his belongings from point A to point B. The customer comes to us seeking a solution to his problem. That problem, apart from probably not having the means to carry out the move by himself, is having a piece of mind knowing that his items will be moved safely and swiftly across the country. That piece of mind is in the essence of what we provide. Let’s face it: anyone can transport your stuff, but not everyone can do it in such a way that you just let go. This is what Jersey City movers do: we enable you to enjoy the move and not fear it. Apart from taking care of general moves, moving and storage Jersey City specializes in cross country piano moving as well. We have found out that it is very difficult to find trustworthy piano movers in NJ. We recognized that our customers need to have an option to successfully and easily move pianos across the country. In it, we saw an opportunity to offer additional service to our fellow citizens. Therefore, in case you have a piano that you need to take with you, give us a call and we will come to give you a very fair estimate and inform you how we would do it in the easiest way possible.